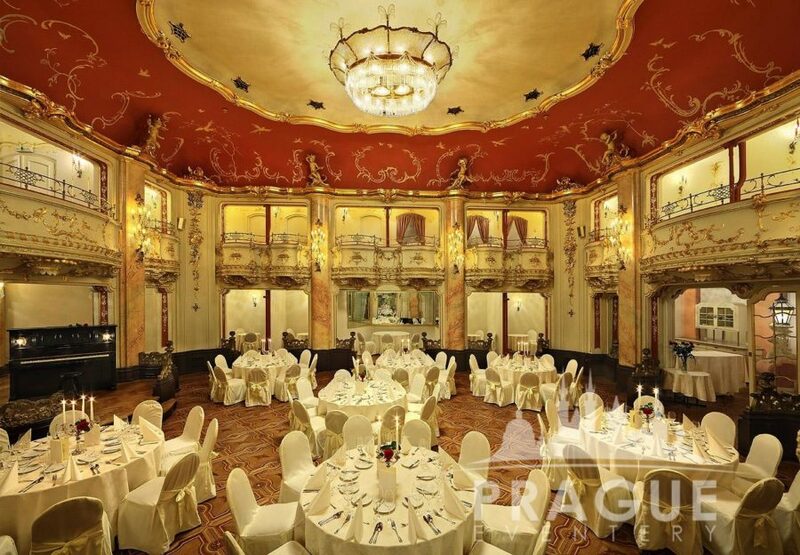 « Previous "Troja Chateau Prague" | Next » "Dobris Royal Chateau"
The “Boccaccio” marble Prague ballroom hall, expresses itself in a truly fairytale manner, intimate and aristocratic in its Rococo style, complete with galleries, private viewing boxes, and a solid exotic wood dance floor. 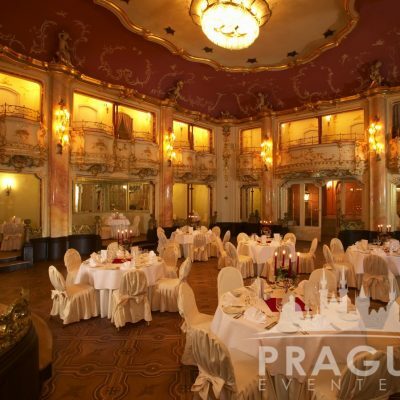 Boccaccio was really a sought-after hang out amongst Prague’s societal elite. 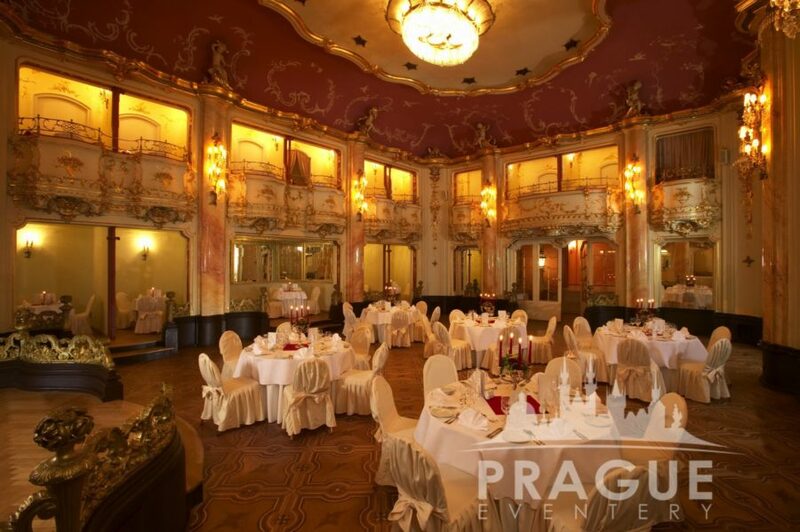 What a delightful work of Prague artistic architecture; with its beautiful stucco and rich decorations of the ceiling, one is presented with an especially unforgettable visit thanks to the subdued lighting and special atmosphere. 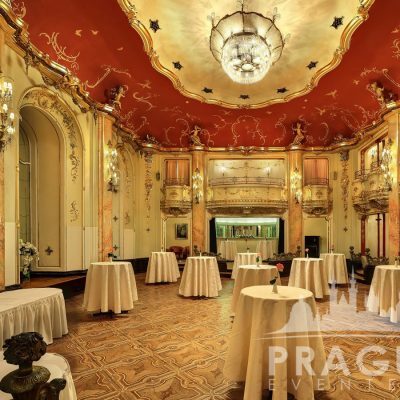 Not only during the time of the First Republic, or during the roaring 1920’s, but also for several years after World War II, the Boccaccio was known as Prague’s Hot spot to be seen. 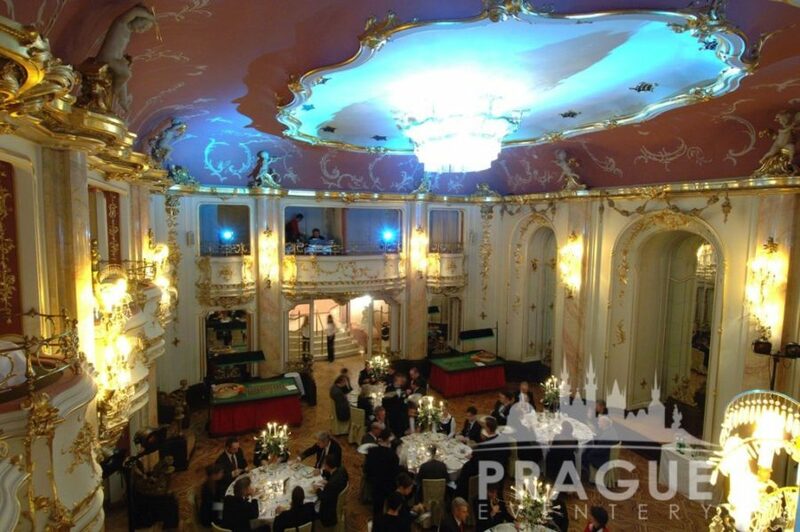 Jan Masaryk, Czechoslovakia’s first president, had a permanently reserved viewing box on the first floor. 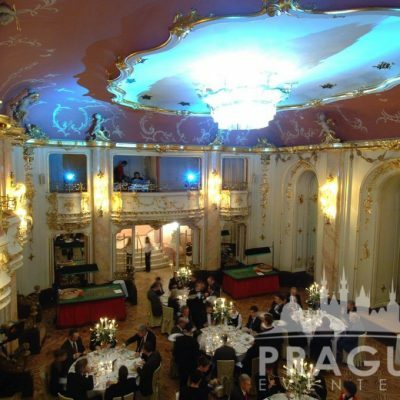 The box adjacent to his was reserved for the American Ambassador to what at that time was the Czechoslovakian Republic. 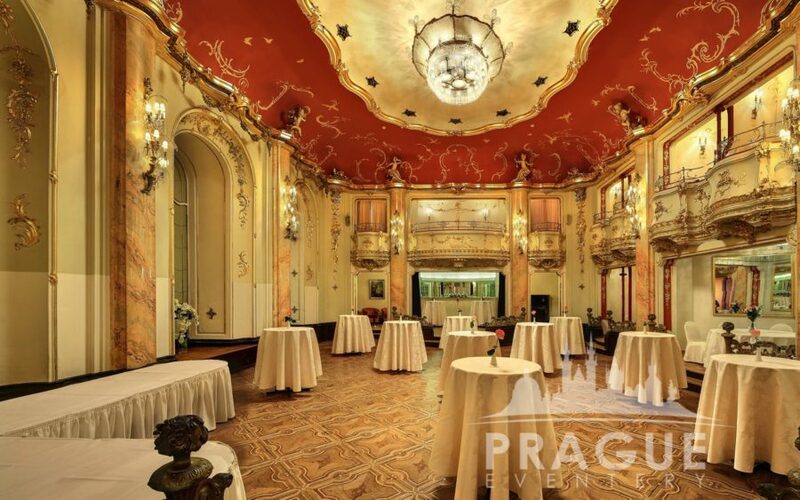 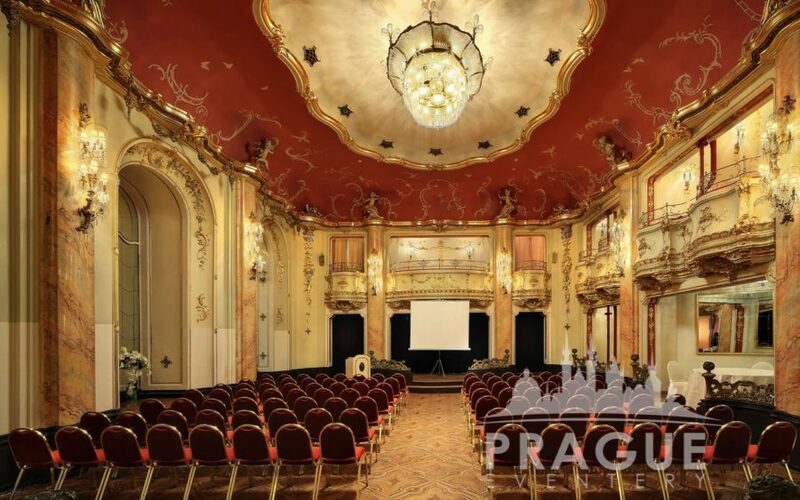 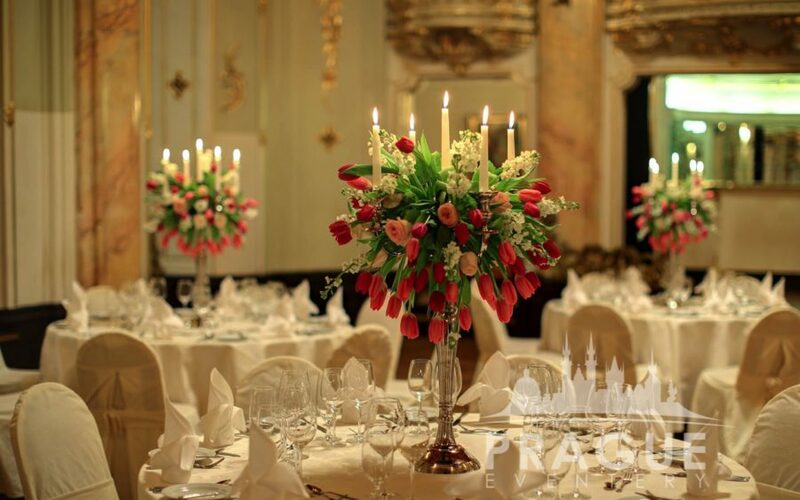 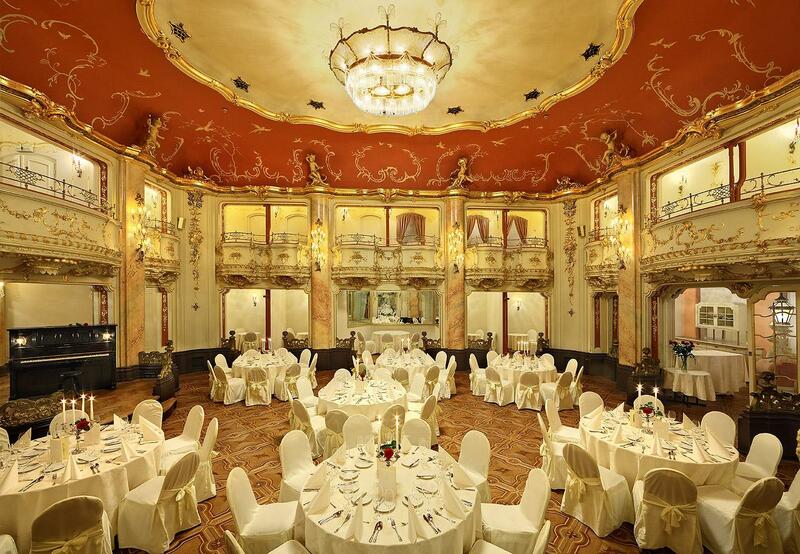 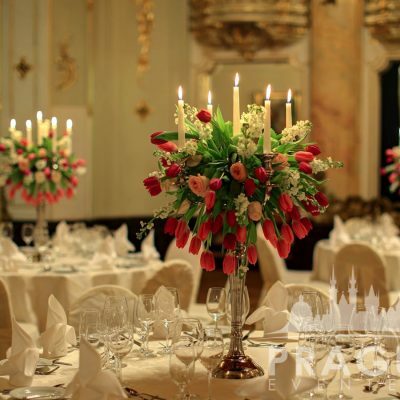 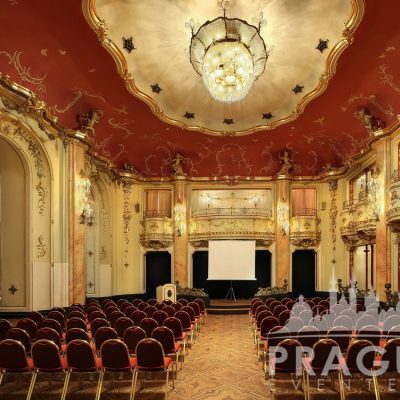 This splendid 20th century Neo-Baroque Boccaccio Prague ballroom hall is the quintessential meeting place for hosting exclusive events for up to 140 people. 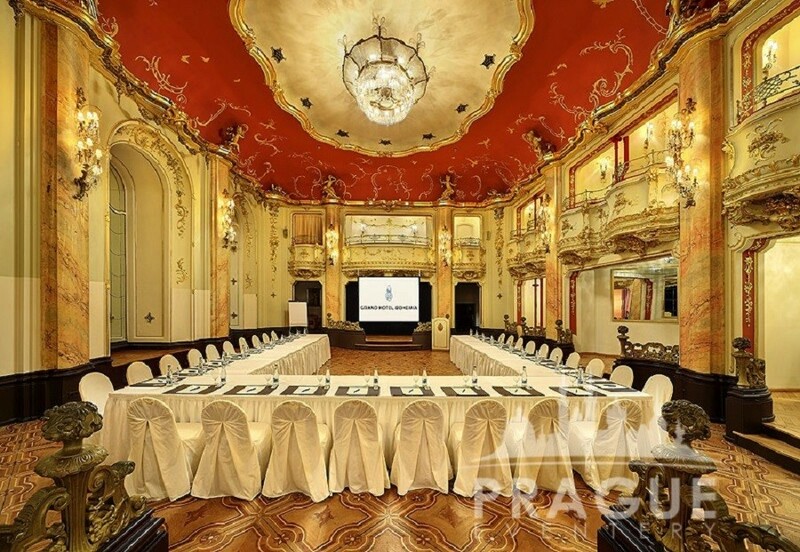 Seminars, conferences, exhibitions, cocktail parties, receptions, and private lunches or dinners, can be organized in this magnificent venue. 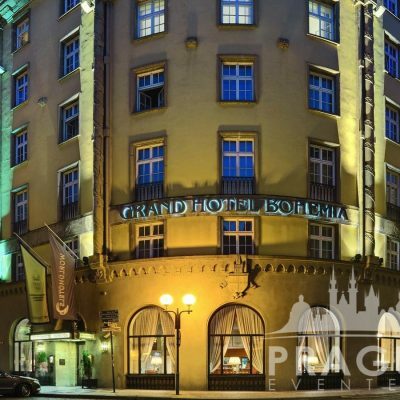 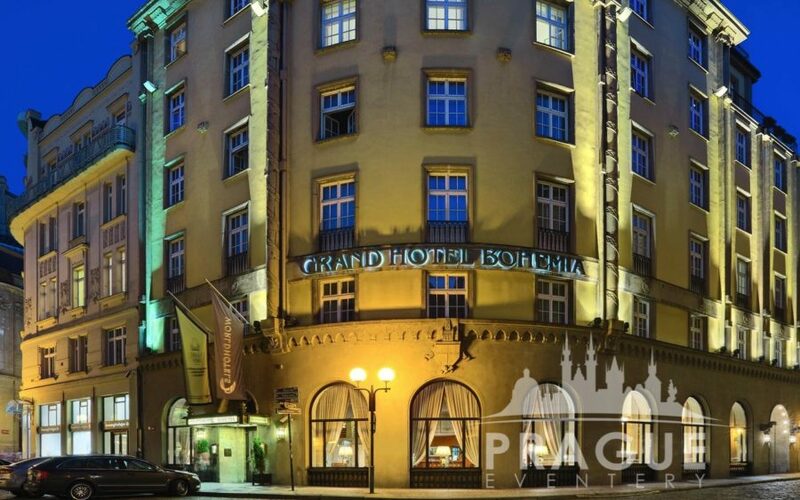 Since the ballroom is located in the basement of the Grand Hotel Bohemia, it does not offer daylight, but does have its own private entrance directly from the street.